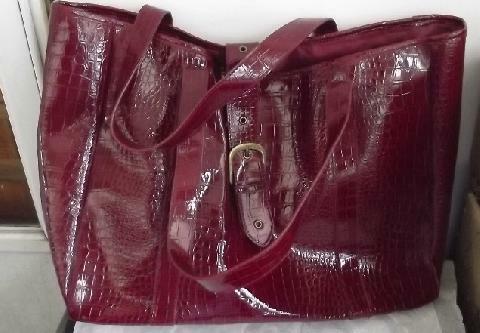 Burgundy Large Over Night Tote/ Bag patent leather crocodile pattern and nylon on the inside one zipper pocket and 2 other small pockets on the inside. 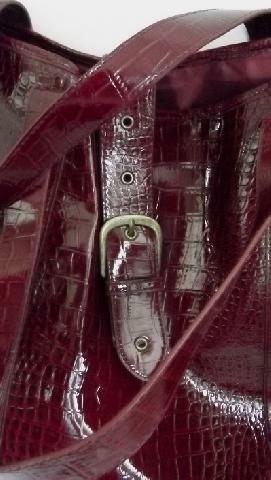 buckle type with snap closer.13" by 16" and 6" wide. . 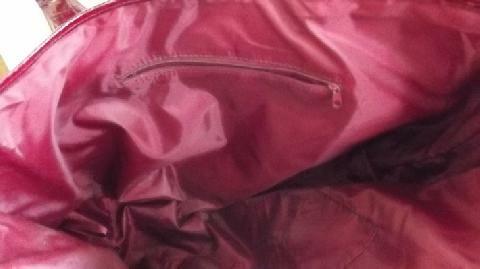 Please check pictures for more details In very good used condition..
PRICE: $19.99 plus $1.75 special handling charge.